Fred. 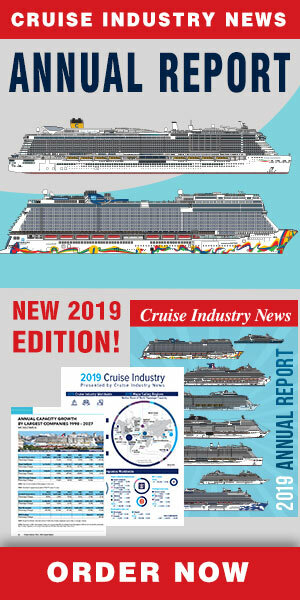 Olsen Cruise Lines has announced its fleet will meet in Funchal, Madeira on Saturday April 4, 2020, for the "Four Freds in Funchal." This follows a previous event held in Bergen wtih all four ships in 2015, while the Captains in Cadiz is scheduled to bring the fleet together this year on Sept. 10. “In July 2015, we brought our four ships together for the very first time in Bergen, Norway, and it was one of the most celebrated events that we have held at Fred. Olsen since our inception in 1848. To mark our milestone 170th anniversary in 2018, we will be celebrating our ‘Captains in Cádiz’ event in the historic Spanish city of Cádiz this Autumn – so-called because the ships’ Captains will be leading on many of the day’s activities. During Fred. Olsen’s ‘Four. Fred.’s in Funchal’ celebration, guests can expect to be treated to a host of activities and entertainment, both o board and ashore, including: a welcome ceremony and local performances; fantastic live music; delicious, specially-prepared menus; the opportunity to explore the whole fleet; and fun competitions between the guests and crews of each ship.